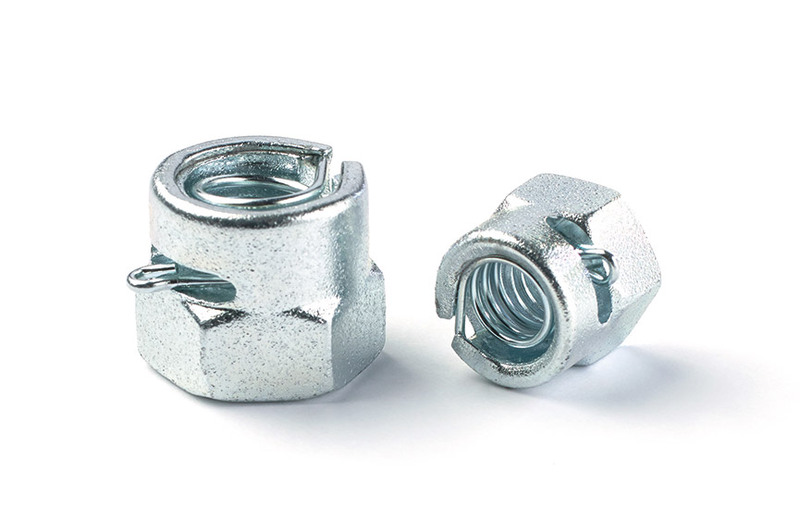 The clamping nut locks now found widespread in the market function based on the principle of a permanent, strong friction that, depending on the application, leads to a more or less rapid loss of preload in the connection and consequently to a successive loosening of the joint. The SAPER LOCK® is based on a completely new principle that constantly secures the screw connection – a whole life long! 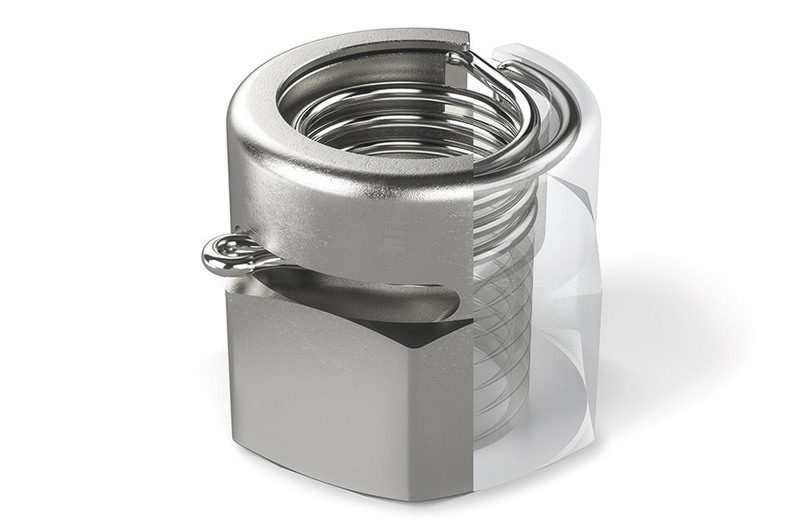 The SAPER LOCK® screw lock consists of a nut with an internally placed flanged locking spring. If automatically loosened, the spring entwines itself around the stud bolt and reliably prevents the screw connection from loosening. In contrast to other methods of screw locking, the SAPER LOCK® nut can be used as complete anti-rotation locks, as locking devices and as adjusting and setting elements. This is regardless of the preload force and the hardness of the components being screwed together. It can be used everywhere where high demands are made on the screw locking and where ease of use and reuse without loss in performance are required as an economic advantage. As a screw lock expert, Böllhoff advises customers at technical seminars, trade fairs and in direct communication with the customer, and supports them in their choice of the best technical and optimal economic solution. The SAPER LOCK® nut locks increase the security of screw connections.